No one person is said to have invented railway transportation but there are several people that helped move the early wagonways, that were used to Transport coal out of the mines, into the national grids we see today all over the world. 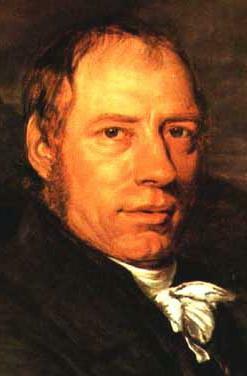 Trevithick (1771 –1833) was an inventor from Cornwall, England. 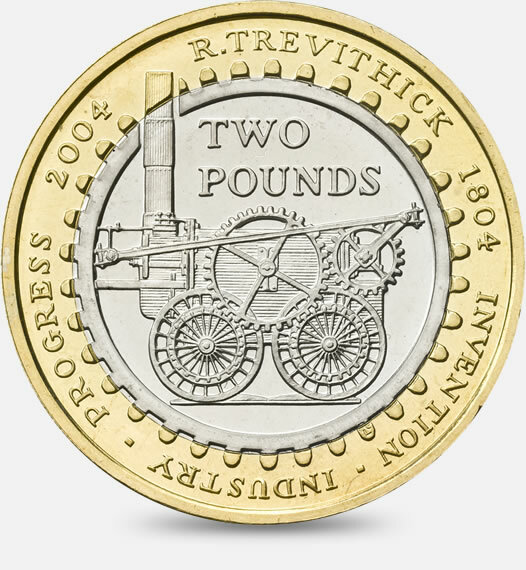 On 21 February 1804 the world's first locomotive-hauled railway journey took place as Trevithick's steam locomotive hauled a train along the tramway of the Penydarren Ironworks, in Merthyr Tydfil, Wales. His locomotive successfully carried 10 tons of iron, 5 wagons and 70 men 9.75 miles in 4 hours and 5 minutes. 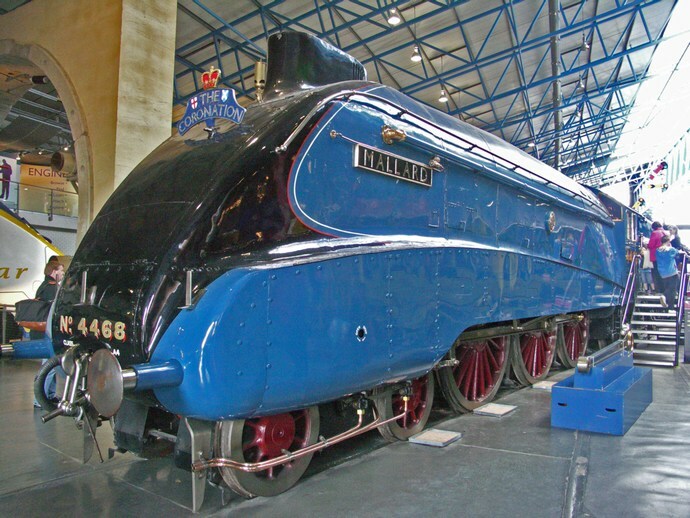 Stephenson was a pioneering railway engineer and inventor of the 'Rocket', the most famous early railway locomotive. George Stephenson was born on 9 June 1781 near Newcastle-upon-Tyne Northumberland, England. His father was an engineman at a coalmine. Stephenson himself worked at the mine and learned to read and write in his spare time. 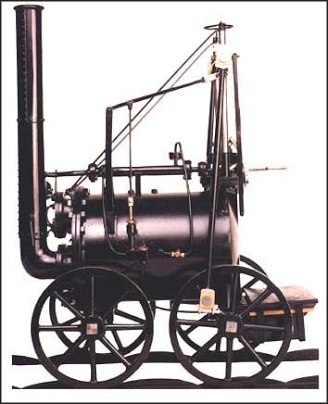 He gained a reputation for managing the primitive steam engines employed in mines, and worked in a number of different coalmines in the northeast of England and in Scotland. 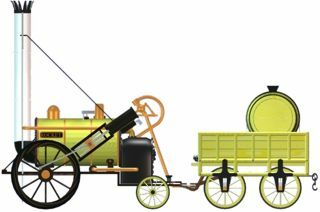 In 1814 Stephenson constructed his first locomotive, 'Blucher', for hauling coal at Killingworth Colliery near Newcastle. In 1815 he invented a safety lamp for use in coalmines, nicknamed the 'Geordie'. In 1821, the project to build the Stockton and Darlington Railway (S&DR) began. The original plan was to use horses to draw coal carts on metal rails, but after company director Edward Pease met Stephenson he agreed to change the plans. Work began in 1822, and in September 1825 Stephenson completed the first locomotive for the new railway: originally named Active, it was soon renamed Locomotion. The S&DR opened on 27 September 1825. Driven by Stephenson, Locomotion hauled an 80-ton load of coal and flour nine miles (15 km) in two hours, reaching a speed of 24 miles per hour (39 km/h) on one stretch. The first purpose-built passenger car, dubbed Experiment, was attached, and carried dignitaries on the opening journey. It was the first time passenger traffic had been run on a steam locomotive railway. Stephenson was hired by other railways, such as the 'Bolton & Leigh.' But his big triumph came in 1829. The proposed Liverpool & Manchester railway directors held a trial to determine which locomotive to use for their railway. The winner also received the huge sum of £500. The contest was held at 'Rainhill', and of ten engines entered, only 5 turned up and just 3 functioned well enough to take part in the Rainhill Trials. The winner was 'Rocket', produced by the Stephensons. Stephenson went from strength to strength. 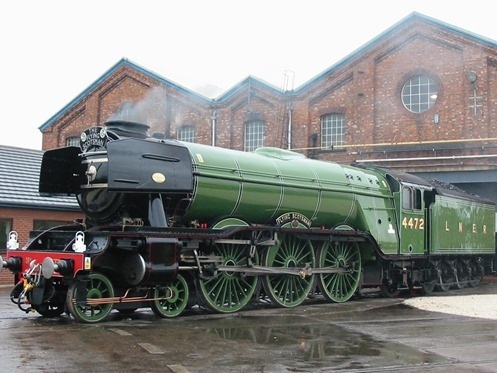 He was chief engineer for the Manchester & Leeds, Birmingham & Derby, Normanton & York and Sheffied & Rotherham railways. He was constantly innovating, constantly improving his engines and the tracks. He was so successful that he was able to purchase Tapton House, near Chesterfield, in 1838. He invested in coalmines, ironworks, and quarries, and also experimented with animal husbandry and stock breeding. Stephenson died on 12 August 1848 in Chesterfield in Derbyshire. His only son Robert was also a railway engineer and worked with his father on many of his projects. The potential was evident for all to see how the 'train' was going to transform life. In 1847 there were a quarter of a million navvies digging and blasting their way over the British landscape. The amount of track laid in Britain increased from only '500 miles' in 1838 to over '8,000' by 1855. This expansion of track also brought down the cost of travel so that all but the poorest could afford to travel by train. In the stagecoach days, a ticket from London to Manchester and back would have cost '£3 10s' but by 1851 the train fare for this same journey was only '5s' for a far quicker and more comfortable journey. Throughout the British Empire colonies like India, Australia, Africa and Canada leapt at the railway opportunities and railway networks were built with the knowledge and expertise Britain had gained. And in the USA, not wanting to be left out, Horatio Allen of the Delaware and Hudson Canal Company ordered two British locomotives for a sixteen-mile-long line between coal mines and his canal: The Stourbridge Lion from Foster, Rastrick, and Co., and the America from Robert Stephenson and Co. The trains arrived in the United States by August 1829, at which time Allen became the first person to drive a locomotive in America.